The province’s transportation minister says “there’s no real secret” when it comes to the plan for uploading the TTC, and details over the reasons for, and costs of, the move will be shared with city officials. The province's transportation minister says "there's no real secret" when it comes to the plan for uploading the TTC, and details over the reasons for, and costs of, the move will be shared with city officials. Jeff Yurek was asked by Metro Morning host Matt Galloway on Thursday about media reports that suggest a consultant's advice to cabinet on how to upload the building, expansion and maintaining of the city's subways will remain confidential. He disputed those claims, first noting that cabinet minutes are confidential. However, he said all details explaining consultant Michael Lindsay's advice for the move, and details about the costs, will be shared with city officials and "are going to have to be made public." "There's no real secret out there, because Mr. Lindsay is working with City of Toronto staff, he has been for months," Yurek said. Lindsay, who was appointed to the advisory role last August, has been in touch with city officials since work began, and official meetings will get underway Friday, according to Yurek. The minister added that there will be no "massive, one-off report," from Lindsay. Rather, consultations are an "ongoing" process. "You can't upload in secret," he said. Lindsay was appointed for a one-year term. However, that could be extended by one or two years, Yurek said. 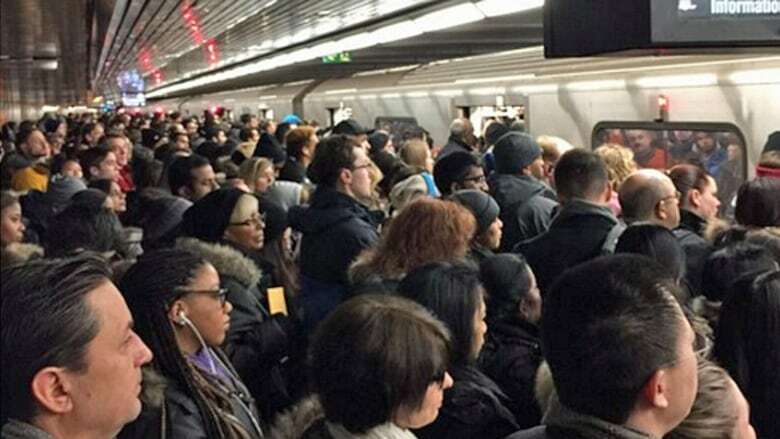 Later Thursday, Mayor John Tory said he takes provincial officials "at their word" that the process of uploading the subway won't take place behind closed doors. "They've said very clearly: uploading is not going to take place in private. It can't take place in private, it shouldn't take place in private and I'm optimistic that it won't," Tory told reporters. "And we're already working in close collaboration with them to discuss what this process is going to be and what uploading means and all the unanswered questions that exist." The provincial government announced last summer its plan to upload the city's subway system to the province, and Yurek reiterated Thursday what that means: the TTC will continue to reap revenue from fares and run the day-to-day operations for subways, buses, streetcars and LRT lines. What the province wants to take over is the planning, building and maintaining of the subways. Yurek said expanding the Yonge subway line and building the downtown relief line are among the province's plans. "We are going to turn planning and priorities into projects," he said. In its last meeting before Christmas, Toronto city council voted overwhelmingly in favour of keeping the TTC, including subways, in city hands. Yurek said Thursday that councillors are making such decisions without knowing what the upload plan looks like. "They should be fair with their constituents and, through a collaborative process, make a decision at the end of the day when the proposal's on the table," he said.